Once in a lifetime opportunity to acquire a unique mixed use property centrally located on the Balboa Peninsula. The property features two separate buildings, each with their own commercial space and residential loft. The first building features a modern industrial feel and consists of 2 bedrooms, 2 bathrooms, and a single car garage. The commercial space below features bright windows, private bathroom, and would make a perfect office. The second building carries the same modern industrial feel, and features an open commercial space with private bathroom and views of the bay. The upstairs residential loft features 2 bedroom, 3 bathrooms, and high end modern finishes. 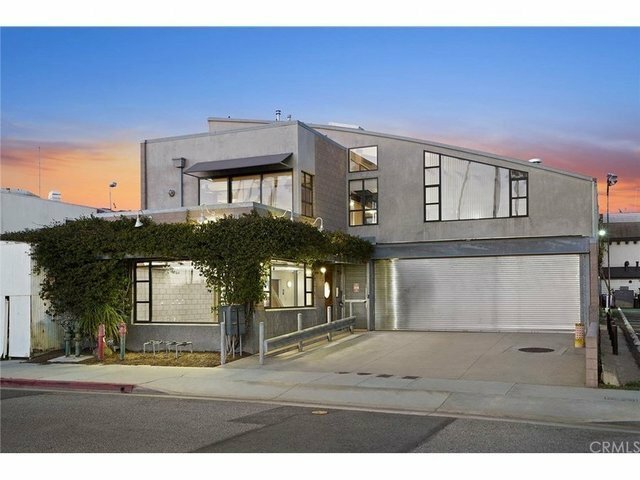 A 4 car garage, elevator, and rooftop deck overlooking the bay completes this one of a kind space. The property also has two 70 foot boat slips which gives you the option of renting out both slips or keeping one for yourself and renting the other. These units are just steps away from some of the best beaches, dining, shopping and water activities that Newport Beach has to offer! This is truly an opportunity that you do not want to miss!